This past March the Montreal Modern Quilt Guild held their latest sew-in. We’re currently making baby quilts for the École Rosalie-Jetté, a secondary school welcoming teenage mothers and their babies. All of the fabric has been donated, we sew it up into quilts and the school distributes the quilts to some deserving young mums. 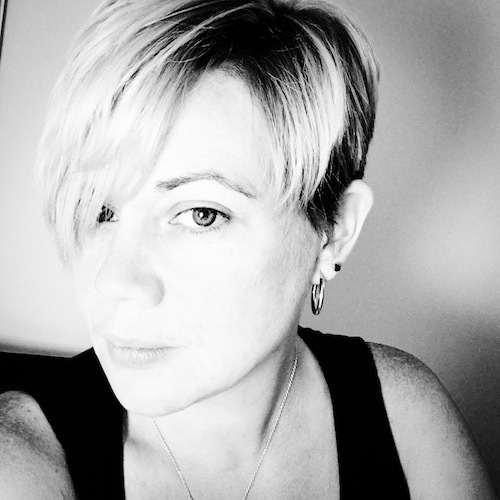 I have been away from the blog for much too long. Unfortunately, a little family emergency has kept me mighty busy. Everything seems to be pretty much back to normal now, but of course there has been no time for any sewing. So instead I thought I’d share a work in progress (WIP). 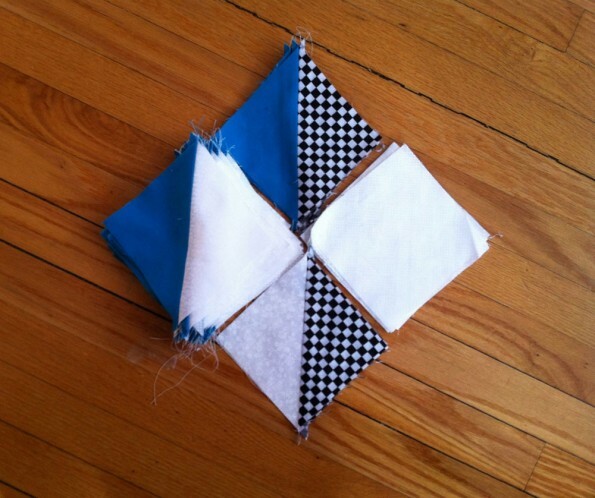 This past March the Montreal Modern Quilt Guild held their latest sew-in. We’re currently making baby quilts for the École Rosalie-Jetté, a secondary school welcoming teenage mothers and their babies. All of the fabric has been donated, we sew it up into quilts and the school distributes the quilts to some deserving young mums. You can read more on the project on the MMQG website. You may have seen this fabulous grey herringbone quilt by Erica of Craftyblossom. It’s really quite lovely. 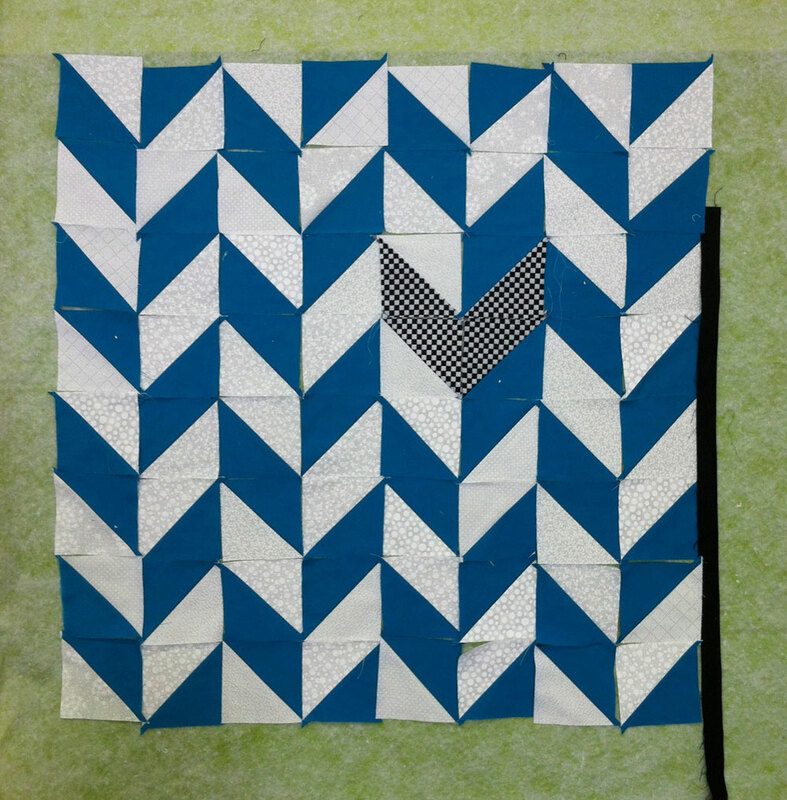 Not knowing what fabric would be available, I thought I’d do something similar, since it uses small pieces to make half-square triangles and just requires a bit of contrast to work well. Here are all the half-square triangles up on a design board. The blue is actually a teal colour, but I took these photos in a rush with my iPhone, and the colour is a bit off. Herringbone quilt on the design board. I’ve been working on this quilt with the very talented Cinzia Allocca of Deux Petites Souris. We only had a few hours to work, but I’m quite impressed by how much we were able to do. And I love how it’s turning out. I may have to make my own. I especially like the checks. 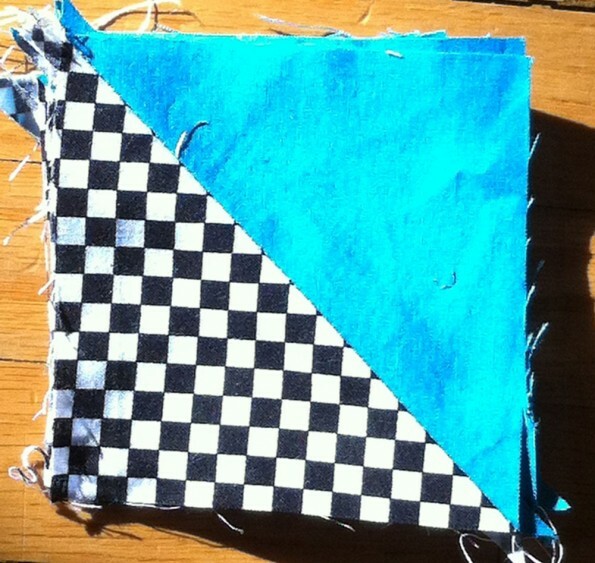 Half-square triangles (HST) that need to be trimmed. I have a big pile of half-square triangles (HST) that need to be trimmed before the next sew-in. Hopefully, we’ll finish up the rest of the quilt then. I’m so optimistic when I’m excited about a project. A terrible photo, but at least the colour is accurate. The fabric isn’t what I would normally choose, but it’s quite liberating sewing with donated fabric since you can try pretty much anything. 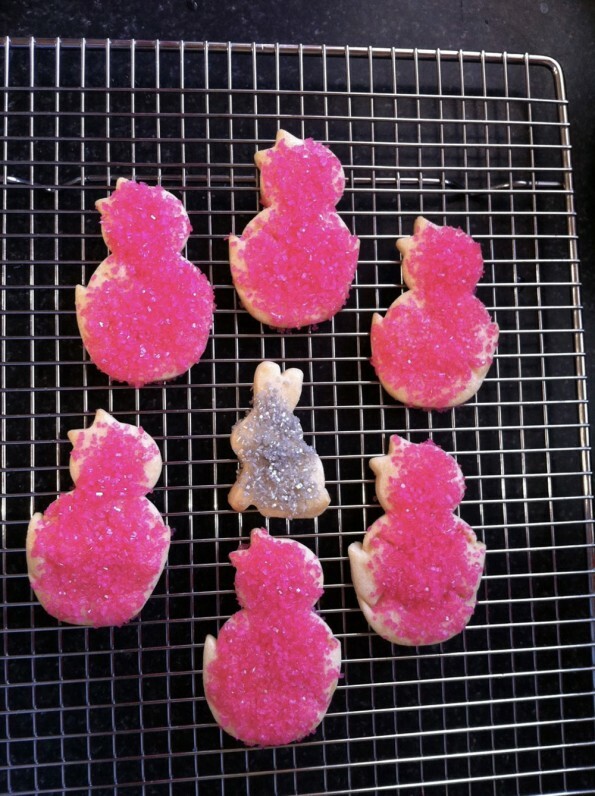 Instead of sewing, today we made some Easter cookies. I know, I know, a little late. If you count the fact that I bought this cookie cutter for Easter last year and am only using it now, it’s actually a lot late. Oh well. And of course the kids are responsible for the rather (ahem) generous portion of sprinkles. A little baking. I know these area little late. 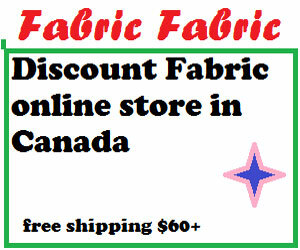 By the way, the Montreal Modern Quilt Guild is looking for new members. If you’re interested, you can attend our upcoming sew-in in May and see what it’s all about. Membership fees are quite low ($30 per year) and you can attend just one meeting and pay for just the one month, which comes out to about three dollars, I think. You’ll have to check with the organizers for the exact amount. I’ve been corrected! You can attend your first meeting for free (yay!) and after that, membership is pro-rated. We alternate with a sew-in or a meeting each month and there are also some special events like workshops and lectures. You don’t have to be an expert (I’m on my fourth and fifth quilts) and I even saw people sewing (gasp!) clothing at the last sew-in. It’s all very friendly and laid back. Oh, this quilt is looking great, and for such a good cause as well! You have me considering an HST pattern for my next quilt. Thanks! Glad you like it so far. I love how simple geometric shapes like triangles can be arranged so many different ways. I better get to trimming those HST before the next sew-in! Just to clarify, the for those interested in hearing what we are all about, the first meeting you attend is free. If you decide to join, your fee will be pro-rated. Only one sew-in left before we break for the summer! We’ll meet again in september. I will update the post so there is no confusion. And yes, I have to trim my HSTs as well. Thank you so much for your very helpful comment and advice on my blog, that was kind of you and is very much appreciated. Thank you for the compliments! Hope everything works out with the website. I have been wanting to make a quilt but haven’t found one that caught my eye or ‘fits’ with my decor. I LOVE this quilt! Might have to make myself one! 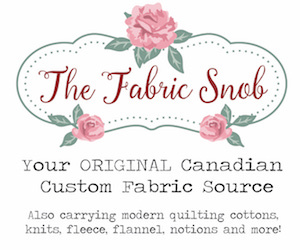 MadeByMeg recently posted…My Tutorial on Fabric Mart + Discount! Thanks! It’s nice to have a charity project to be able to test things out. But I’m thinking of making myself another as well.